What are Museums for and how can they bring innovation in member engagement? Home/Blog/What are Museums for and how can they bring innovation in member engagement? To describe simply the answer – what are museums for would be to save, restore, educate. We are writing on this to assist museums in knowing what better ways could be integrated into the museums to enhance the member engagement. Museums are not just places to store and exhibit art, or historical interest, they are where your audience and members make and recreate themselves, they develop a close relation as it binds them with the thoughts and takes them back to the historical era. But how can museums bring innovation in member engagement have you ever given a thought to it? What and who are museums for? How can museums switch from traditional to digital membership? Museums ensure understanding and appreciating of various arts and culture. They not only promote better understanding to the audience but also serve the entire community by providing collective heritage and curiosity among the audience. Furthermore, they serve the community to comprehend their history and recognize the achievements of those who were there before them. With a number of audiences visiting your museum almost every day, museums have started to embrace the technology to bring the best to their audience and members. For museums, it wasn’t possible to gather appropriate data on the visitors but this problem no longer exists within the museum. Beacon technology in the museum or iBeacon integration within the application can easily help the museum staff gathers analytics on where the visitor has spent most of their time in the museum. This has proved to be the best way to enhance the visitor experience as it helps them to experience the self-guided tour. One way museums can stand out different from others is by is by seeking and reacting to the opinions and desires of their members. Museums must understand their audience. 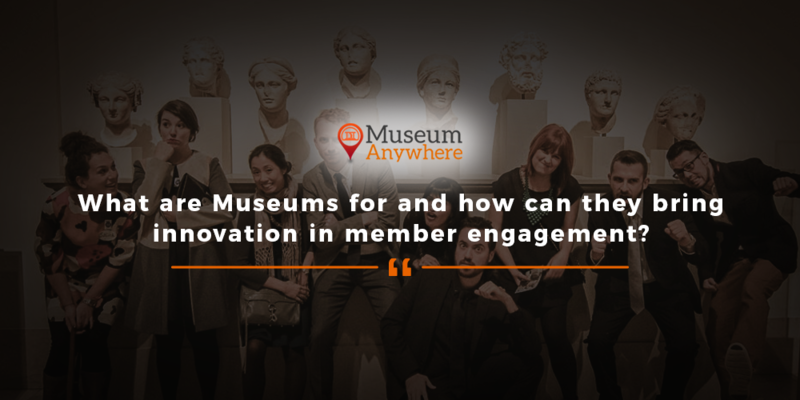 So we have brought to you a smart solution in which not only your members but even museums can experience immense benefits. eMembership Cards for Museum can do wonders for your museum. In the sense, it saves the cost on renewal reminders and other recurring costs which includes outsourced mail-house or internal costs of printing, mailing, supplies and staff time. Your members don’t have to wait for another 2-3 weeks to get the renewed membership card. With automatic renewal reminder, your members will get notified 60 days prior to the expiration date or any preferred frequency by the museum. This would help them to click on the received link to get it renewed and with quick e-delivery; your members would receive it right on their palm. Our eMembership card for museums has a lot more features, if you wish to grab it for your museum talk to our expert today! Write at sales@MuseumAnywhere.com or call 703.652.6630, we would love to work with you. Previous Previous post: Mobile Apps are helping Museums to Enhance the Audience Engagement! Next Next post: Driving Visitor Engagement by bringing museum’s collection online in the Digital Age!